1 Import Blinds-Separated from the Action Panels folder. 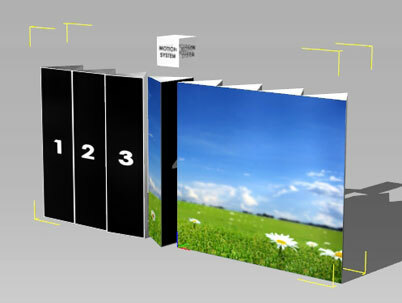 You could apply images or videos onto the Separated Type Action Panels one by one. Each separated type panel has a parent dummy on the top. 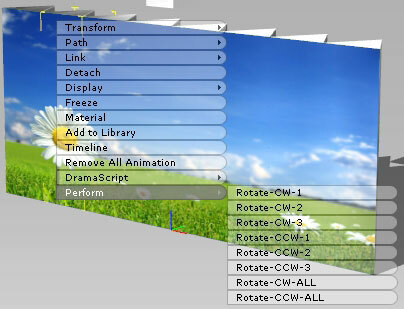 You may move or rotate each panel by highlighting it in the Scene Manager. 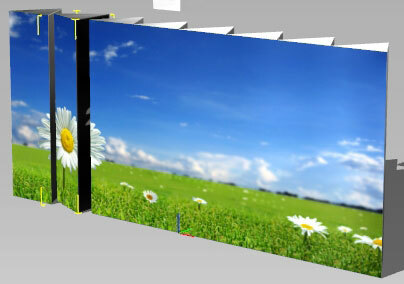 Drag and drop a video file onto each panel for a perfect UV map result. 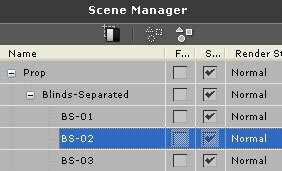 Select Blinds-Separated (the parent) in the Scene Manager. 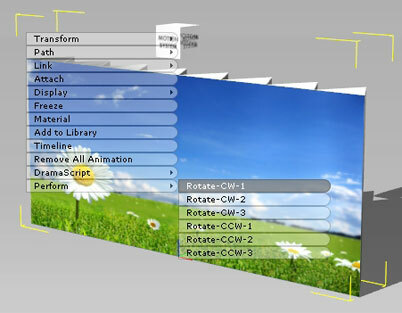 Right click on it and select an animation to perform in the display window. Drag and drop videos to the other side of the panel. If you only want to control the separated panel, then just select it in the Scene Manager and right click on it to give a command in the display window.